A series of table, bedside, floor and suspension lights made of aluminium and blown glass. 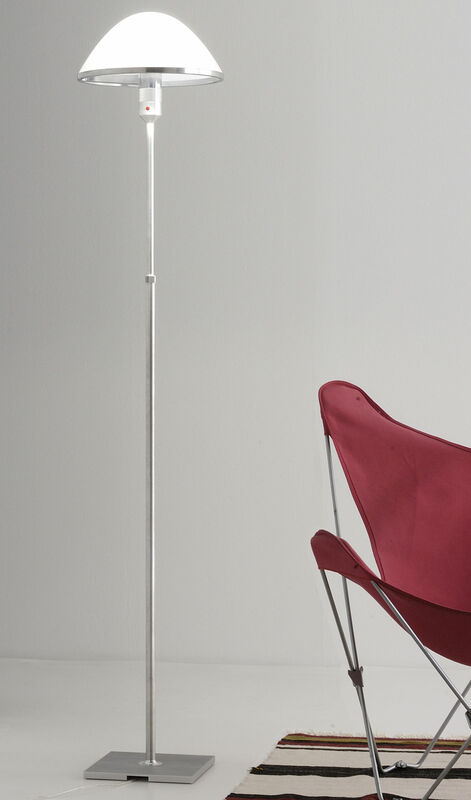 The opal diffuser is supported by a ring that holds the lampholder, the concepts true core. This is the real center of the project both from a concept and a formal point of view. Table lamps Miranda and Mirandolina, and floor lamp are equipped with dimmer.